The last month has been nothing but busy. Between two significant rain events impacting the state and planning to host the upcoming meeting of the American Association of State Climatologists (AASC) in Destin, FL, I am ready for a vacation. But before I can go dig my toes in the sand, I want to send out a huge, heartfelt thank you to every one of you. The dedication you've shown over the last few weeks in reporting rainfall has been greatly appreciated by a variety of people and agencies. This is just another reason why I believe that Florida CoCoRaHS observers are some of the best! On June 9, tropical moisture streamed northward from the Gulf of Mexico over a small portion of the central Gulf Coast (from Jackson County, Mississippi, to Santa Rosa County, Florida), causing significant rainfall in a short period of time. Radar estimates from the event show two areas of rainfall in excess of 15": Tillman's Corner in Baldwin County, Alabama, and Southern Escambia County in Florida (Figure 1). 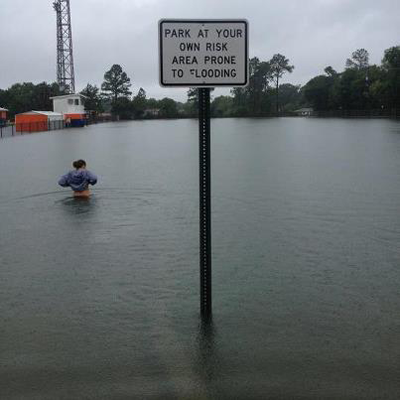 The daily record rainfall for Pensacola was 13.13" in a 24-hour period. It's the second highest single day rainfall total on record at the station. Pensacola's only wetter day took place on October 5, 1934, when a tropical storm produced 15.29" of rain. 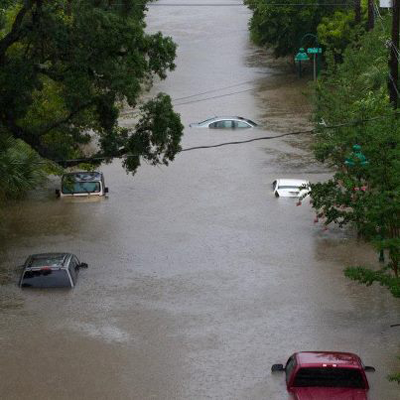 Flooding was reported in numerous areas, while flash floods were reported in some of the hardest hit areas. Many local roads were covered by rising water; retention ponds overflowed; and many home and business, including a prison, were flooded. "Let me go through the event with you. Yesterday morning at 0702, I emptied the catch, which held 3.05". 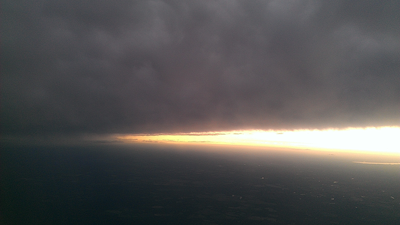 It was drizzling at the time but the sky was dark and according to radar I knew we were in for more. At 0720 (and I looked at the clock!) a TORRENTIAL downpour started - and did not let up. At about 0930, I told my husband we were going to have to check the catch really soon - I was looking out my front door with binoculars (lightning in the area) and it looked like the catch was full. So brave man that he is, he went out at 0948 with a big bowl with a cover. I told him to empty the inner tube and the large tube into the bowl, and come back as fast as he could (lighting). I stood in the kitchen and dipped out the catch into the inner tube, which he had brought with him and counted 11.65". I know you said that it holds less than that but that is what it registered and he was very careful to make sure that nothing fell into the bowl on the way to the house as the bowl had a lid. An hour later I had him go back out and empty the catch again into the bowl and it registered 4.98" (of course we used the inner marked tube to register the inches. When it slacked up enough we were able to replace the inner tube and not have to use the bowl to pour the contents into. I took hourly readings up until 1640 at which time the rain had, except for sporadic sprinkles, stopped. The last major rain event for the 24-hour period was about 0612 this morning and that's where, I think, the rain from 1640(9th) to 0700 (10th) occurred." Another observer, FL-ES-16, left a pretty amusing comment with his daily report of 11.35": "Noah!!! Yo Noah! How'bouts floatin' ya enclosed barge boat over here fast like, huh? We gotcha a full load plus sum. And how'ya fixed for pets and a few cows, goats, and chickens? Oh, and one lost Lima and Mr. Greene's Peacock. Whew wee! Ya talk about wet." Another observer from Duval County (FL-DV-51) summed up everyone's thoughts with his comment on the 10th: "WHEN WILL THIS RAIN STOP?!?!?! So much rain. Almost 10" this month and it is only June 10th." On June 24th, a broad area of low pressure that had been persisting in the northwest Caribbean Sea and Gulf of Mexico became better organized and formed into Tropical Storm Debby in the Eastern Gulf. The storm moved slowly northeast, becoming nearly stationary south of Apalachicola on June 25. 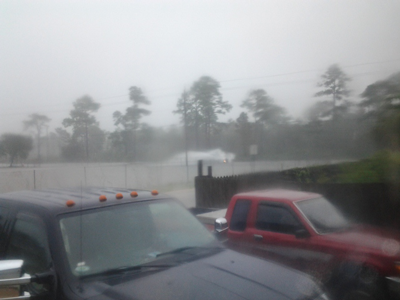 While Debby never strengthened significantly, the slow-moving storm brought a wide coverage of heavy rainfall to Central and North Florida on the 24th and 25th. The heaviest rains on June 25th occurred along the coastal areas of the Eastern Panhandle, where portions of Franklin and Jefferson counties and nearly all of Wakulla County received from 10 to over 15 inches of rainfall. Another strip of 10 to 15 inches fell later that evening over portions of Baker, Columbia, Suwannee, and Hamilton counties. 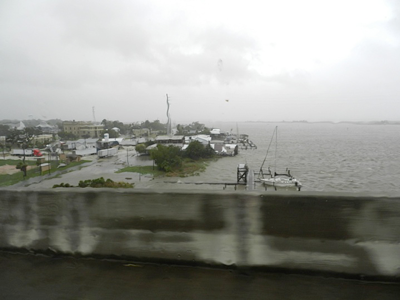 Debby finally made landfall on the morning of June 26 near Cedar Key, Florida, before traversing the state and moving off into the Atlantic Ocean. The rain from Tropical Storm Debby was a double-edged sword, bringing relief from over two years of drought to a majority of the state but also causing flooding where the heaviest rain fell. 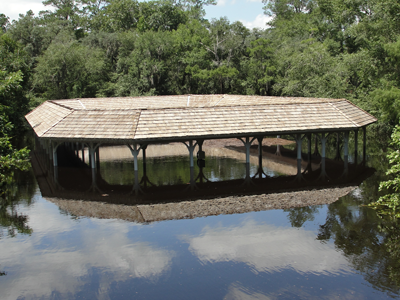 In Wakulla County, the Sopchoppy River had record flooding and damaged or destroyed many homes along the riverbank. Many other parts of the county were also flooded due to the heavy nature of the rainfall and very little topography or drainage on the flat coastal plain. Flooding also occurred on the Suwannee and Santa Fe rivers, and there was record flooding on the St. Mary's river in Northeast Florida. 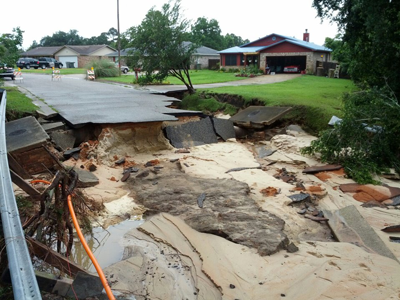 Homes and businesses were damaged from standing water in Live Oak and the surrounding area. 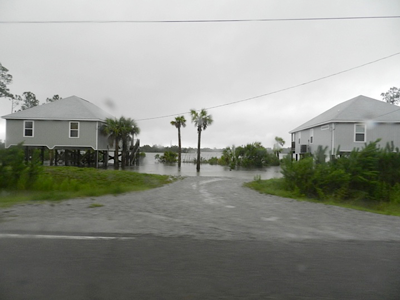 A storm surge up to 6 feet caused moderate damage to coastal communities including East Point, St. George Island, St. Marks, and Cedar Key. Once again, Florida CoCoRaHS observers rose to the challenge and provided timely and valuable reports from the drenching received by Tropical Storm Debby. One observer (FL-WK-2) gave us this account of his lack of observation: "We live on the Gulf coast and had to evacuate due to storm surge. Yesterday's rain entry was observed as we left Monday morning. We returned about noon today. Rain gauge had overflowed so we cannot provide a report for this morning other than it being more than the 11-12" capacity of the gauge. Radar indicated no significant rain at our house after early this morning. Storm surge was minimal." FL-AL-25 reported 5.80 on the 25th along with this comment: "Pretty steady rain, for most of the day, 5.8" total, so far. Ground was thirsty, only puddles were on pavement this morning. All the runoff ponds at commercial facilities full." FL-CG-8 made mention that "it is difficult to measure amounts of rain this high. I had to be very careful not to spill any..." when they made their 6.27" report on the morning of the 25th. 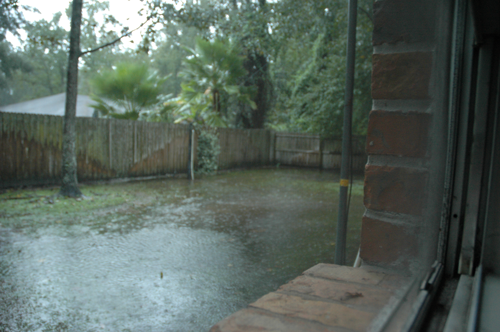 FL-HL-14 commented, "It is raining Cats and Dogs," when making their 1.15" report on the 26th. FL-BK-7 mentioned, "TS Debby - many yards totally under water, all ditches overflowing across streets and we're not in a flood plain of any river. This AM scud line on outer buildings shows water has receded about 3 inches, but still not gone in many places. This is 5th day in a row of rain, with 3 of those being substantial amounts." FL-HB-40 summed it up nicely by just saying "Wow." Rainfall totals at most locations in the state were well above normal in June (Table 1). Portions of the Big Bend, North and Central Florida, and along the west coast recorded rainfall totals that were in excess of 8.00" above normal, while parts of South Florida and the Panhandle saw below normal rainfall. 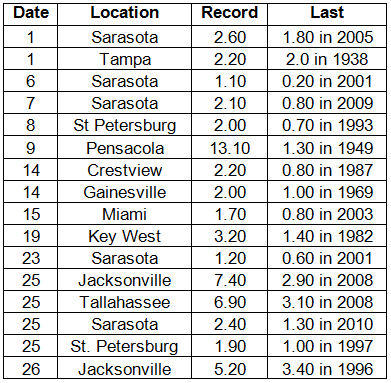 June of 2012 was the wettest on record in Tampa (previous record June rainfall was 18.52" in 1945), the 2nd wettest at Pensacola, 3rd wettest at Jacksonville, and 7th Tallahassee. 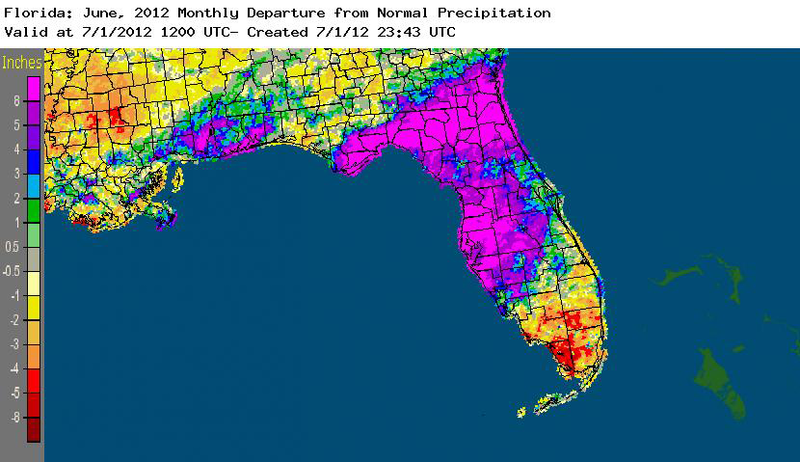 Rainfall was also above normal at Fort Lauderdale and Gainesville. On the 9th, Pensacola reported a record rain event of 13.31" in a 24-hour period (Table 3). Parts of southern Escambia and Santa Rosa counties experienced extensive flooding on the 9th (Figure 1). 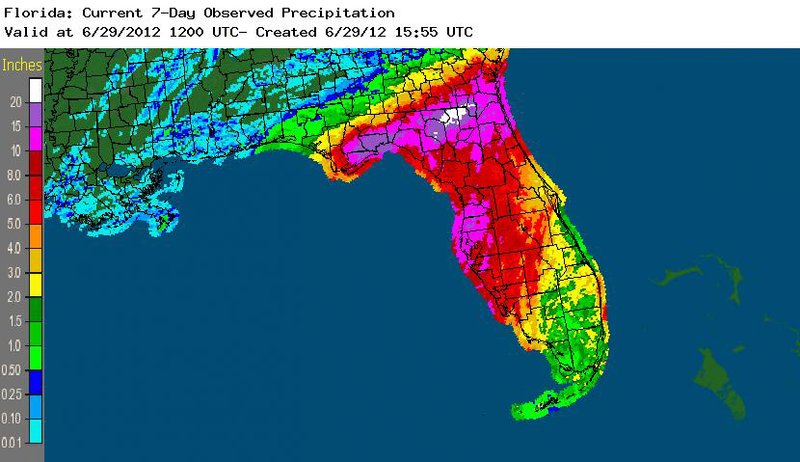 From June 23 to 29, Tropical Storm Debby impacted the state, dumping an estimated 2.00" to 20.00" (Figure 2). Unofficial reports of over 30.00" were reported in Wakulla County. 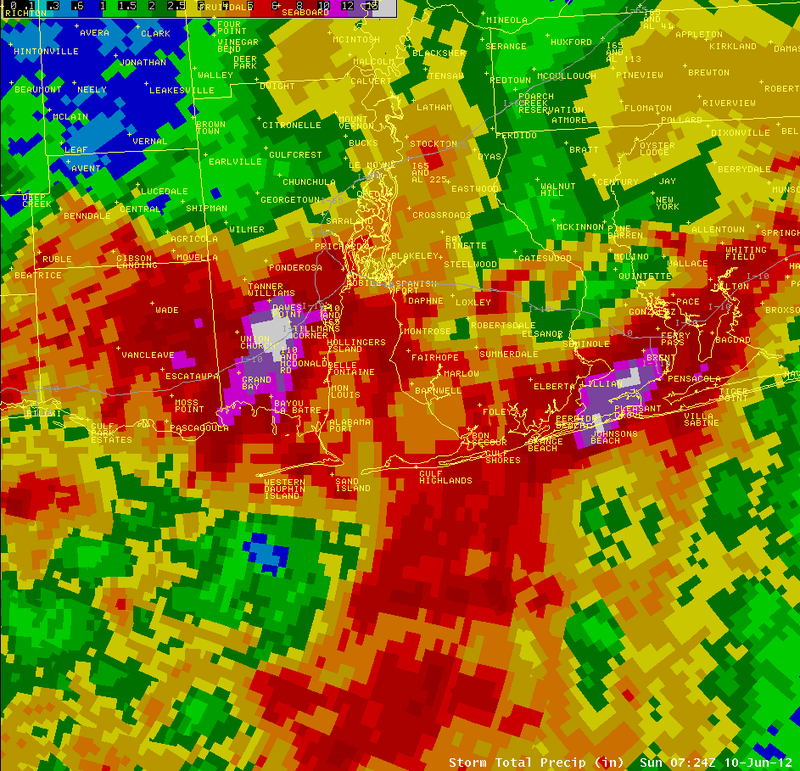 Areas that experienced the heaviest rains saw significant flooding. Some area rivers surpassed their record flood stage heights. Aerial patterns of monthly rainfall relative to normal are depicted in Figure 3. Table 2: Select daily rainfall records (inches) broken during June (compiled from NOAA, NWS). Figure 1: A graphical depiction of radar estimated rainfall amounts from June 8-10th (courtesy of NWS Mobile). Figure 2. 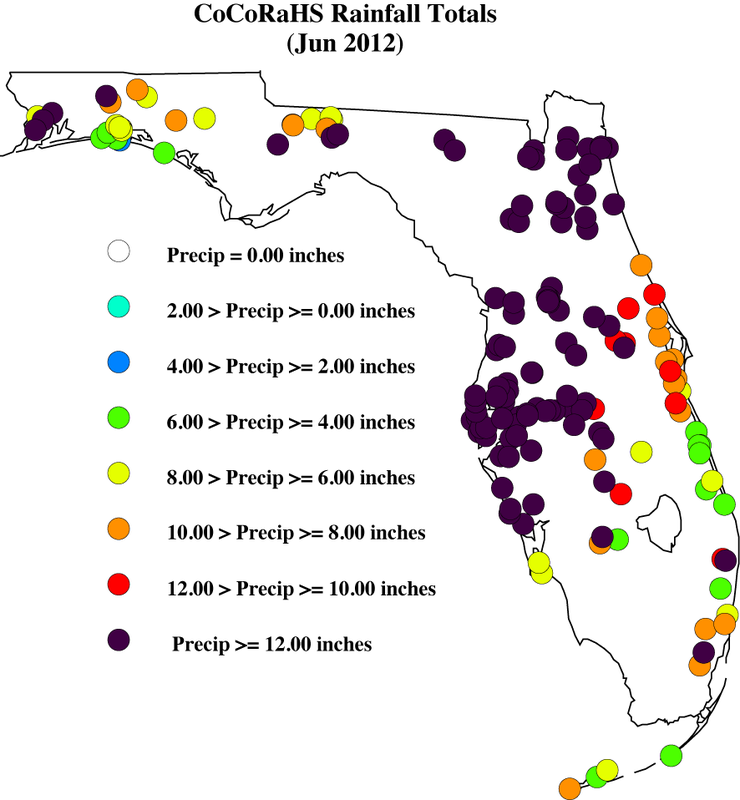 A graphical depiction of radar estimated rainfall amounts from June 23th-29th, during the time that Tropical Storm Debby passed through the state (courtesy of NOAA, NWS). Figure 3. A graphical depiction of the monthly rainfall departure from normal (inches) for June is given in the figure below (courtesy of NOAA, NWS). Here are the CoCoRaHS rainfall totals for June from some select CoCoRaHS stations across the state. It's amazing that so many stations had over 12.00" for the month! Drought conditions dramatically improved during the month of June. There were multiple rain events that impacted the state throughout the month that led to almost a complete reduction of all drought classifications in Florida. Since May 29th, the state has gone from 85% of the state categorized as in some type of drought to only 15%. The beginning of June saw improvement of the drought along Florida's West Coast. During the weekend of June 8th-10th, torrential rains in Escambia, Santa Rosa and portions of Okaloosa counties alleviated the drought conditions. Other portions of the western Panhandle and Big Bend region saw a 1-to-2 category improvement in their drought designations. Sea breeze thunderstorms during the middle of the month helped ease the drought along portions of the east coast. 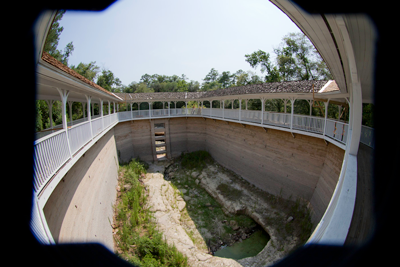 However, it was Tropical Storm Debby that proved to be a drought buster for most of the state. Radar estimates and rain gauge data indicate that parts of north Florida had as much as 20" of rain from the slow moving tropical system. Numerous streams and rivers in the state are reported at or above flood stage. The only part of the state that did not see beneficial rainfall from Debby were the counties west of the Apalachicola River. 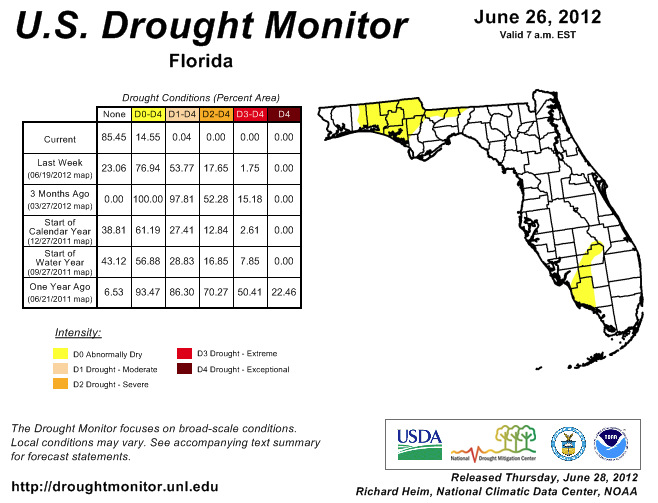 Abnormally dry conditions are still being reported in Collier, Glades and Hendry counties in South Florida and in Walton, Holmes, Washington, Bay, Jackson, and Calhoun counties, along with northern portions of Gadsden, Leon and Jefferson counties. Temperature and precipitation data for roughly 100 stations in Florida from 2011 has been added to the Florida Climate Center's Climate and Visualization Tool. In addition to the updated data, the center has released a new product known as Multi-Sensor Precipitation Estimates (MPE) Maps. Users can use the tool to visually see accumulated MPE maps over selected time periods, and, when zoomed in, can add features to the simple mapping applications.